Welcome To Autobody Specialists, Inc.
Hi, Thanks for stopping by. Welcome to our home on the web. There's lots of information here so please take a moment to look around and view all of what we have to offer. We are a full service auto body repair shop that performs collision repair and vehicle restorations with 35+ years of experence. We also perform mechanical repairs and maintenance utlizing the latest tools, techniques and training to ensure your repairs are done right the first time. So if you asked the question "Who is the best body shop? ", the answer is US. We are more versatile and can handle a wider variety of projects than any other shop in the Mooresville and surrounding area. Over the past several years, we have provided all types of collision repair services for cars, trucks and vans as well as small business fleet vehicles, trailers, dealerships and motorcycles and just all kinds of vehicles. We take pride in being one of the top Classic Car and Antique Automobile Restorers in the area. If you have a prized possession that is in need of paint and body work or mechanical repair and you would like it to be put back into top condition, we should be the choice for your project. We have a vast portfolio of completed projects that have won awards at various local and regional car shows. We also do custom designs and paint your car or motorcycle to your specifications for an eye catching custom look. At Autobody Specialists, Inc., we are committed to earning your business by making you, the customer, our top priority. We pride ourselves on having quick response times, a very courteous staff, and exceptional rates. 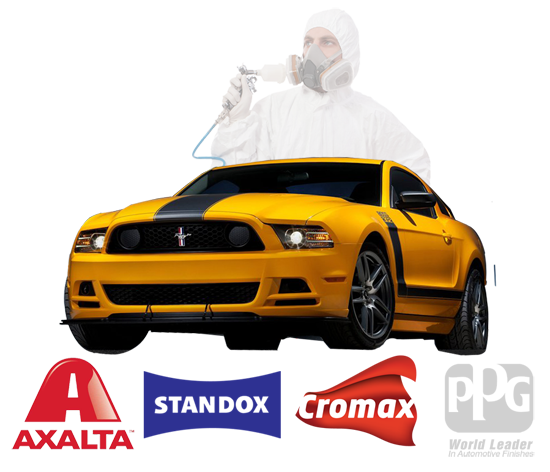 We provide auto body collision repair and automotive painting services for all makes and models of domestic vehicles, imports, motorcycles, fleet service vehicles, antique and classic cars and just about anything with a painted finish, all performed by highly trained, certified technicians. Here at Autobody Specialists, "We Specialize In First Class Finishes".